November 24, 2010 - Orange Beach, AL (OBA) - Effective November 24, 2010 at 6 p.m. eastern time (5 p.m. central time), NOAA will close 4,213 square miles (10,911 sq km) of area to royal red shrimp fishing only. This area had previously opened to all commercial and recreational fishing, and fishing for finfish or penaeid shrimp species is still allowed. 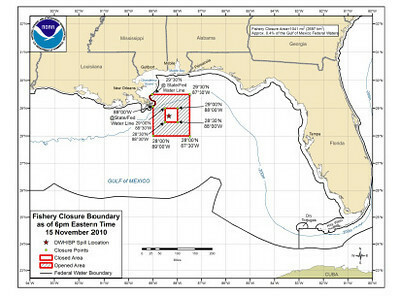 On November 15, 2010, NOAA opened an 8,403 square mile (21,764 sq km) area previously closed to fishing due to the BP/Deepwater Horizon oil spill. This decision was based on analysis of 286 finfish samples for sensory analysis and 207 finfish samples in 33 composites for chemical analysis. NOAA also analyzed 55 shrimp samples (royal red and penaeid species) for sensory analysis and 50 shrimp samples in 9 composites for chemical analysis. Sensory testing showed no detectable oil or dispersant odors or flavors in the samples, and the results of chemical analysis were well below levels of concern for oil. November 23, 2010 - Orange Beach, AL (OBA) - The City of Orange Beach Golf Center is very excited to bring back the Skins Games held the first Sunday of every month. These were a big hit last year and we will be glad to see all our favorite golfers return and new golfers try out the course! Next game will be Dec 5. Everyone is welcome, golfers gather at the pro shop at 1pm prior to tee off to register and the shot gun start is at 1:30pm. The cost is $20 for non members and $5 for members. November 17, 2010 - Orange Beach, AL (OBA) - Tomorrow night (Thursday) Tacky Jack's is hosting a big party with live music from the Frank Brown International Songwriters' Festival. The Alabama Gulf Coast Chamber members will be there for their monthly After Hours party and Orange Beach locals will be there with their weekly Gathering. There will be lots of great fun and eats. Updated November 19, 2010 - Lots of locals showed up for the party at Tacky Jacks in Orange Beach. November 15, 2010 - Orange Beach, AL (OBA) - On November 20, the Orange Beach Indian & Sea Museum building will be celebrating 100 years. From 10am to 2pm, one can enjoy light refreshments, music and good company and relive the history of Orange Beach by touring the museum. At 11am, local luminaries will be sharing their memories of the building in its many incarnations and the olden days of Orange Beach. In 1910, the Orange Beach Schoolhouse was built on Canal Road, near where the 1st Baptist Church sits now. 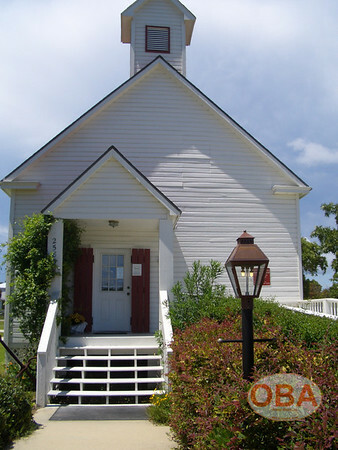 The building then subsequently served as a church and a community house before its current inception as the museum, which opened in 1995, after being moved to Snell Park off of Wilson Boulevard. In 1999, the building was moved again to its current location by City Hall and the Post Office. November 15, 2010 - Orange Beach, AL (OBA) - Effective November 15, 2010 at 6 p.m. eastern time (5 p.m. central time), NOAA will reopen 8,403 square miles (21,764 sq km) of area it had previously closed to commercial and recreational fishing in the Gulf of Mexico in response to the BP/Deepwater Horizon oil spill. The area closed to all fishing now measures 1,041 sq mi (2,697 sq km). All commercial and recreational fishing including catch and release is prohibited in this closed area. Transit through the closed area is allowed. The next federal re-opening priority is to open the remainder of the closed area, immediately surrounding the Deepwater Horizon/BP wellhead. November 11, 2010 - Orange Beach, AL (OBA) - WOW! What a night! Tipseas Steam Shack was packed out with people enjoying the tunes being banged out by the Honky Tonk Angels. The North Shore Grill (aka Hula Hula Tiki Bar) looked fantastic with its new face-lift including a brand new tiki stage. Rick and Lea Ann rocked the tiki stage. The Silver Moon featured songwriters Joe Sun, Moe Monsurrat and local favorites Johnny B and Cathy Pace... And to think this was the pre-launch? November 10, 2010 - Orange Beach, AL (OBA) - Enjoy a one of a kind experience making Christmas ornaments this holiday season under the direction and guidance of glass artist, Sam Cornman, of The Hot Shop at The Orange Beach Arts Center. This is a perfect family outing for all ages and the take-away is truly delightful: a hand blown glass ornament in your color choice. Children are welcome and encouraged to experience magic happen as they see their breath forever captured in glass. Age 8 and up can work with the glass artists. 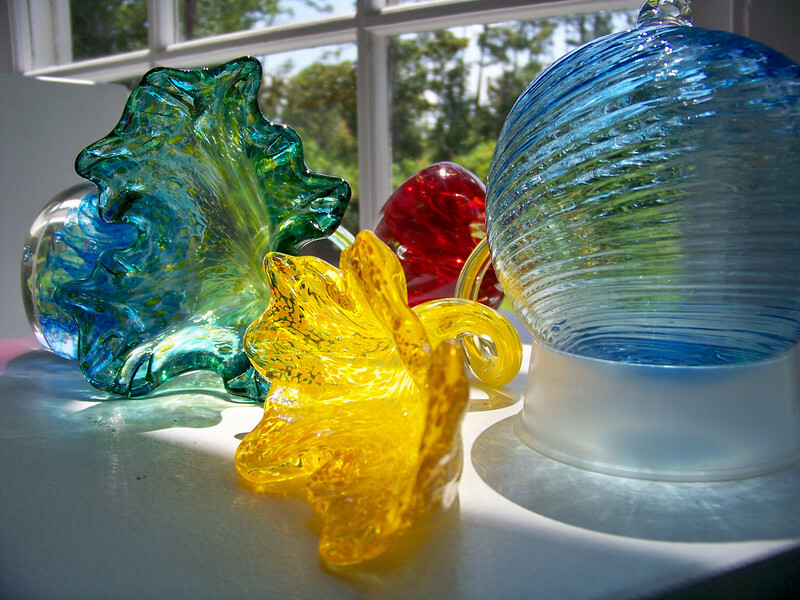 Younger children accompanied by a parent or guardian can assist with the glass creation. The Hot Shop is one of only a few public access glass blowing studios in the southeast and a tremendous benefit to our Gulf Coast community. The ‘Make Your Own “Ornament’ cost is $20 and takes between 10 to 20 minutes. Blow three or more ornaments and receive a 15% discount. November 10, 2010 - Orange Beach, AL (OBA) - Coloring pages about freshwater fish and their habitat are now available from www.outdooralabama.com, the website for the Alabama Department of Conservation and Natural Resources (ADCNR). Alabama has more than 300 types of freshwater fish. The numerous types of freshwater habitats, the high number of river basins, Alabama’s five geological provinces, and the high rainfall in Alabama contribute to a diversity of freshwater organisms. Links to the coloring pages may be found at, www.outdooralabama.com/fishing/freshwater/fish/link.cfm. November 9, 2010 - Orange Beach, AL (OBA) - The Business Support Center is offering a Workshop designed to help businesses survive, sustain and succeed on Tuesday, November 23, from 8:30 until 11:30 AM at the Gulf Shores Campus of Faulkner State Community College in the Culinary Institute. “Crank Up Your Business” will be a Hands-on Workshop offering six different Round Table Discussions throughout the morning that can benefit both seasoned businesses and individuals considering a new start up business. Each Round Table will focus on a core business fundamental and will be led by a local business professional experienced in that industry. Participants will be able to take part in any, or all, of the Round Tables to discuss the latest trends and opportunities. November 9, 2010 - Orange Beach, AL (OBA) - Tonight's Orange Beach City Council Meeting will began at 5:00pm. The meeting tonight is a committee of the whole (C.O.W.) meeting. When the meeting begins, the player below will start the live stream. A replay of tonight's council meeting will be available shortly after the completion of the live stream. November 16, 2010 - Orange Beach, AL (OBA) - Tonight's Orange Beach City Council Meeting will began at 5:00pm. The meeting tonight is a committee of the whole (C.O.W.) meeting. When the meeting begins, the player below will start the live stream. A replay of tonight's council meeting is now available. Click on the link below for the Agenda and video. November 8, 2010 - Orange Beach, AL (OBA) - Tonight's Orange Beach Town Hall Meeting will began at 5:30pm and run until. Mayors Tony Kennon & Robert Craft provided an update on their recent meeting with Kenneth Feinberg. In addition to the update on the claims process, representatives from the Coastal Recovery Commission of Alabama provided an update on their progress. For more information about the Coastal Recovery Commission visit their website at: www.crcalabama.org. 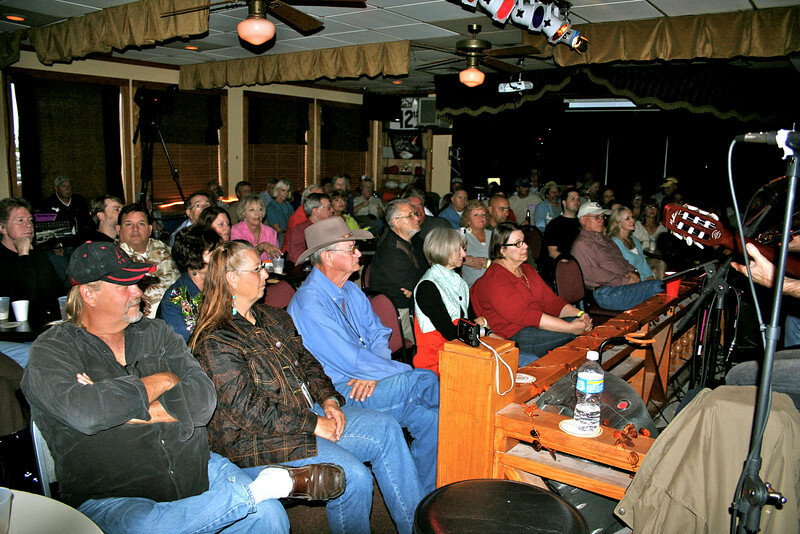 November 7, 2010 - Orange Beach, AL (OBA) - The 26th Annual Frank Brown International Songwriters’ Festival begins Thursday, November 11th and runs through the 21st. This years' Festival includes over 150 songwriters and musicians from all over the world. During this exciting 11 day festival, performers will play at 25 venues in Orange Beach, Gulf Shores, Perdido Key and Pensacola (venue map). Performers scheduled for this year's Festival include Grammy Award winning songwriters and the up and coming stars of tomorrow. 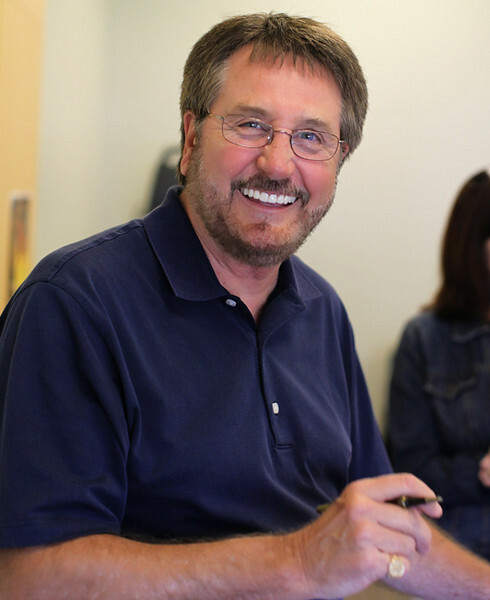 Many of the songwriters are not household names, but their songs are. The Festival began in November of 1984 and grew slowly each year until 1996. By 1996 word had spread throughout the country that the Alabama/Florida Gulf Coast was the place to be for songwriters to gather, collaborate, and give birth to new music. The year 1996 seemed to be the turning point where the Festival grew from a small gathering to so many songwriters that many had to be turned away. November 7, 2010 - Orange Beach, AL (OBA) - The State of Alabama, in conjunction with the other Gulf Coast States and various federal agencies, are conducting a Natural Resource Damage Assessment meeting concerning the Deepwater Horizon Oil Spill on Thursday November 11, 2010, from 6 - 8 p.m. The meeting will be held at the Five Rivers Delta Resource Center Tensaw Theater, 30945 Five Rivers Blvd., Spanish Fort, Ala., 36527. The Alabama Department of Conservation and Natural Resources (ADCNR) will be hosting this meeting along with the Geological Survey of Alabama, the National Oceanic and Atmospheric Administration and the U.S. Fish and Wildlife Service. The public is invited to attend and learn about the fundamentals of the Natural Resource Damages Assessment process, which will serve as a starting point for determining the restoration needs facing the Gulf Coast. Information about opportunities for public involvement as the oil spill recovery effort moves forward will be discussed. 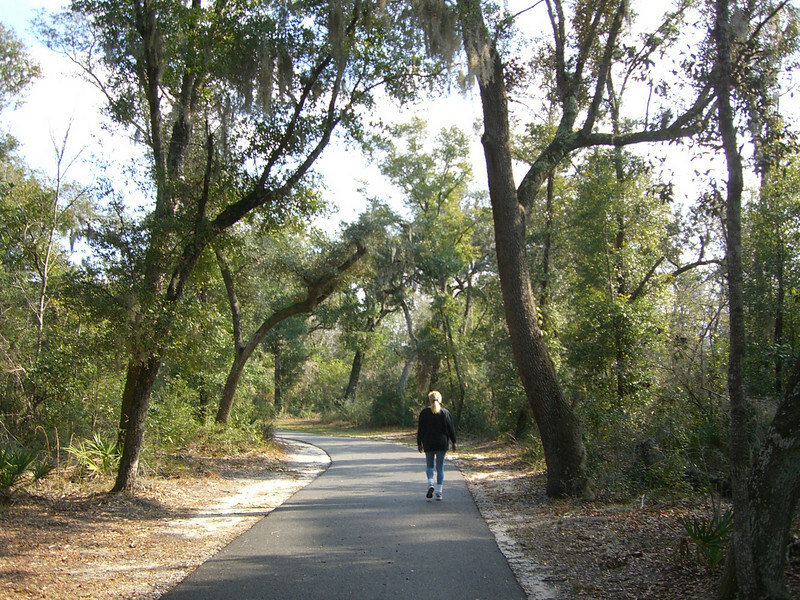 November 2, 2010 - Orange Beach, AL (OBA) - On Veterans Day, Thursday, November 11, 2010, Alabama State Parks will waive park entrance fees for veterans as a way of honoring all living Americans who have served their country in a branch of the U.S. Military. Anyone who indicates they are a veteran will be admitted into the park day use areas without charge on Thursday only. No identification will be required. November 2, 2010 - Orange Beach, AL (OBA) - Perdido Key and Pensacola Beach Florida volunteer organizations and beach-lovers are invited to join the Great VISIT FLORIDA Beach Walk, coming this Saturday, Nov. 6, when Floridians rally to celebrate the Sunshine State’s sandy shores and show the world – with photos from each of the 825 miles – that Florida’s beaches are as wonderful as ever. Volunteers can register now at to walk a beach mile and upload a photo. The registration deadline is 5 p.m. Nov. 4 at: www.VisitFlorida.com/beachwalk, but volunteers are encouraged to register earlier. November 1, 2010 - Orange Beach, AL (OBA) - Young Adult author Ted Dunagan, named 2009 Georgia Author of the Year visited South Baldwin Schools and the Orange Beach Public Library. Mr. Dunagan was sponsored by the Orange Beach Public Library. He made seven presentations to nearly 900 students during his three day visit to Orange Beach. Mr. Dunagan writes historical fiction based on his own childhood experiences in the rural South. His presentations focused on the writing process, his novels themes, favorite passages and the history of the books. The audiences he presented to declared his visit informative, inspiring and enjoyable. Mr. Dunagan signed copies of his books, a Yellow Watermelon and Secret of the Satifila after each presentation. November 1, 2010 - Orange Beach, AL (OBA) - On Tuesday, October 26, 2010, a number of very spooky little people visited story time at Orange Beach Public Library. Attendees listened to Halloween poetry and stories and made a collage baby ghost. They had treats while they did their artwork and visited with each other. 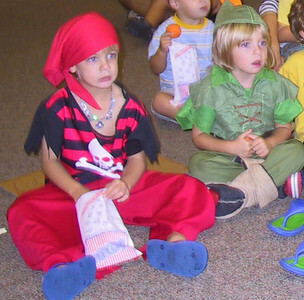 Everyone had fun admiring the creative costumes. October 25, 2010 - Orange Beach, AL (OBA) - From the Coastal Recovery Commission Website: Dozens of committee and subcommittee meetings have produced plenty of ideas and proposals intended to strengthen Coastal Alabama’s capacity to bounce back from catastrophes like the recent oil spill. Now comes the sorting. What concepts deserve to be integrated into final strategies? And by what standards should they be prioritized? Those are key questions for the next phase of the Coastal Recovery Commission process. That stage begins at Tuesday, October 26, when the full CRC holds its second meeting, 1 to 5 p.m. at the Battle House Hotel. October 23, 2010 - Orange Beach, AL (OBA) - The 2010 Thunder on the Gulf Offshore Powerboat Races wrapped up this past Sunday in Orange Beach. 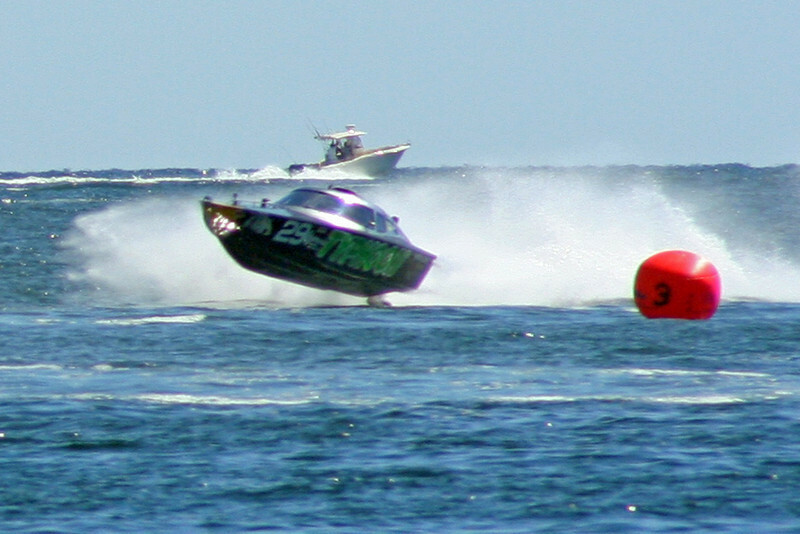 The OPA sanctioned event attracted almost 50 boats and thousands of spectators. Below are photo slideshows from the Races on Friday and Sunday, as well as the kick off parties at the Flora-bama, Happy Harbor and Rum Runners. There are also photos of the award ceremony that took place at Live Bait Too on Sunday evening. October 22, 2010 - Orange Beach, AL (OBA) - NOAA today reopened to commercial and recreational fishing 7,037 square miles of Gulf waters about 80 nautical miles south of the Florida panhandle, between the Florida-Alabama state line and Cape San Blas, Fla. This is the tenth reopening in federal waters since July 22. October 21, 2010 - Orange Beach, AL (OBA) - Alabama State Parks officials unveiled the results of a $4.5 million renovation and upgrade of campground facilities recently at Gulf State Park in Gulf Shores and Orange Beach. State Parks Director Mark Easterwood said the project includes a 5,000-square-foot swimming pool and splash pad. Dressing areas and restrooms are also included in the swimming facility. A new nature center replaces the one destroyed by Hurricane Ivan. The campground store and laundry facility were renovated and a large roof added to cover both, which forms a pavilion area between the buildings. Boat docks and boat slips were also renovated on Middle Lake. Easterwood said rental boats will be available in the future, while a classroom area and small amphitheatre will be added to the nature center to accommodate school groups. 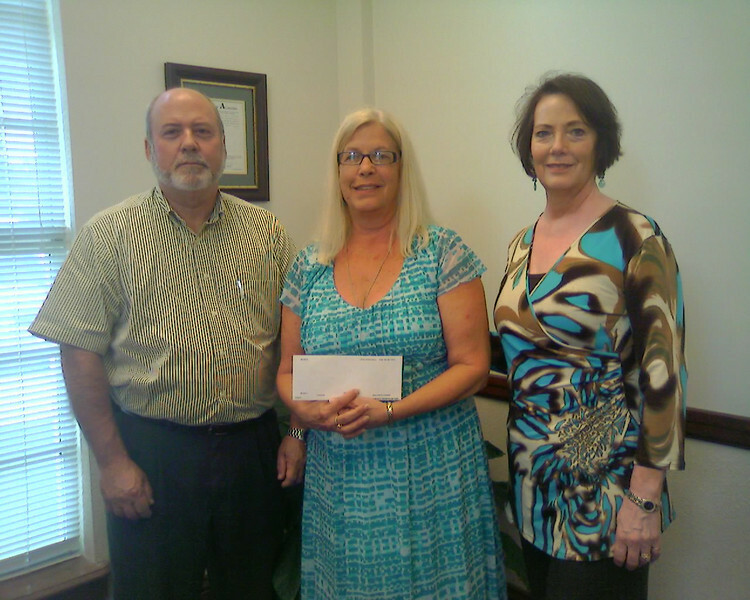 October 20, 2010 - Orange Beach, AL (OBA) - The HIPPY Baldwin program received a $3,000 grant from The Community Foundation of South Alabama. Home Instruction for Parents of Preschool Youngsters (HIPPY) is a parent involvement, school readiness program that helps parents prepare their three, four, and five year old children for success in school and beyond. October 18, 2010 - Orange Beach, AL (OBA) - The Orange Beach Library is proud to announce a change of instructor for our popular Monday morning computer classes. Daria McDonald, PhD, will introduce beginning and intermediate-level computer users to useful Websites, free software, digital cameras, popular office programs, Skype, Facebook and more. Ms. McDonald has designed Websites and taught technology to teachers and students alike in elementary, high school and college. She has more than 10 years experience in teaching technology to all age groups and has redesigned the library's computer class schedule to focus on the programs and tips most useful to retirees. October 15, 2010 - Orange Beach, AL (OBA) - Effective October 15, 2010 at 6 p.m. eastern time (5 p.m. central time), NOAA will reopen 6,879 square miles (17,816 sq km) of area it had previously closed to commercial and recreational fishing in the Gulf of Mexico in response to the BP/Deepwater Horizon oil spill. 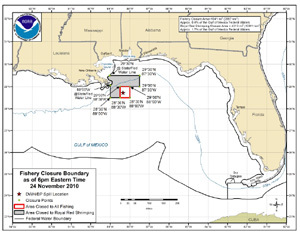 The area closed to all fishing now measures 16,481 sq mi (42,686 sq km) and covers about 7% of the Gulf of Mexico exclusive economic zone. All commercial and recreational fishing including catch and release is prohibited in this closed area. Transit through the closed area is allowed. 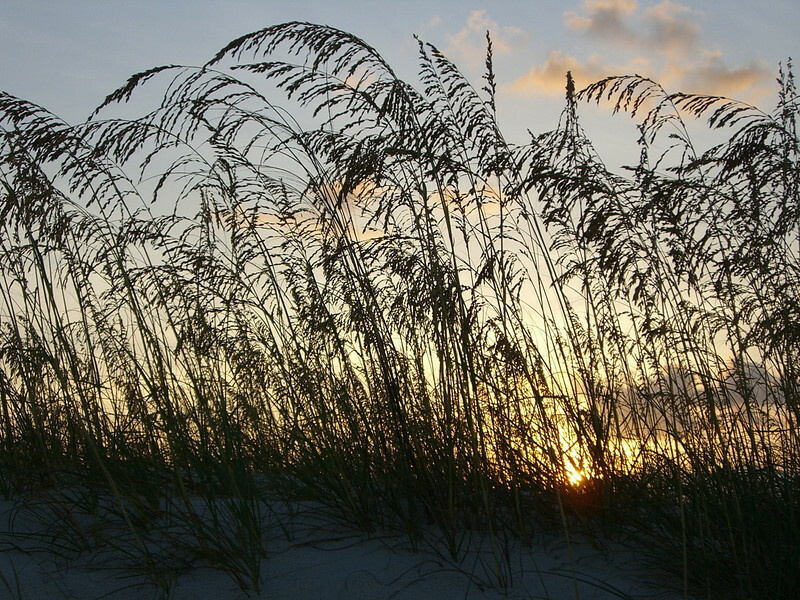 The next federal re-opening priority is a 7,037-square mile area located about 80 nautical miles south of the Florida panhandle. October 15, 2010 - Orange Beach, AL (OBA) - The boats have rolled into town and are being splashed for first day of Thunder on the Gulf Boat races. There will be two races today, the first at 12 noon and the second begins at 1:30pm. Saturday is a good time to visit the dry pits at the Gulf State Park Pavilion where you can see the boats up close and meet the crews that drive them. Sunday's races will also take place at noon and 1:30pm. To view the full schedule visit our Upcoming Events Page. The last two nights have been busy with pre-race activities around town. Below are photos from the last couple of nights of activities at the Flora-Bama, Happy Harbor Tiki Bar and Run Runners. October 13, 2010 - Orange Beach, AL (OBA) — On October 4, 2010, the Orange Beach Community Center Association hosted their annual awards dinner honoring the local Police Department and Fire Department. Awards were presented to an outstanding member of each department chosen by his or her colleagues. October 13, 2010- Orange Beach, AL (OBA) – The Gulf Coast will be reeling in a crowd when the Alabama Gulf Coast Sports Commission welcomes approximately 80 anglers for the IFA Redfish Tour Fishing Tournament on October 16th. The tournament begins at safe light when 40 boats take-off from LuLu’s at Homeport Marina. After a full day of fishing, the captains will return with their prize catches for a 3 p.m. weigh-in at LuLu’s. On Friday evening, LuLu’s will host registration from 5 p.m. to 7 p.m. followed by a captain’s meeting at 7 p.m. The winners advance to the IFA Championship, which will take place in Orange Beach on November 4-6. October 13, 2010 - Orange Beach, AL (OBA) - The Alabama Department of Conservation and Natural Resources (ADCNR) Marine Resources Division announces the opening of the Relay Reef in Mobile Bay to the harvest of oysters beginning on October 21, 2010. This reef was created by the oyster relay project conducted in March of this year and the opening will allow the first harvest from this reef. October 12, 2010 - Gulf Shores, AL (GSA) - Concerts for the Coast have announced the support acts for this weekend’s Bon Jovi and Brad Paisley concerts. Green River Ordinance will open for Bon Jovi this Friday October 15th. Little Big Town will play before Brad Paisley on Sunday night October 17th. The Concerts for the Coast feature music’s biggest names performing free concerts on the beach in Gulf Shores, Alabama. “I’m bringing my H2O Tour to Gulf Shores and I can’t wait to see the beautiful beaches.” says Brad Paisley. Indeed, the concert series has become a successful way to attract tens of thousands of tourists back to the beaches and stimulate the local economy.